Offering spacious, ground floor apartments, Rangiora Lodge Motel is located on the main street of Rangiora, 2 minutes' walk from the local tavern, a cafe, dairy and a fish and chips shop. Unlimited free WiFi is provided. Featuring free WiFi and a sun terrace, Pegasus Gateway Motels & Apartments offers accommodation in Rangiora, 23 km from Christchurch. Free private parking is available on site. 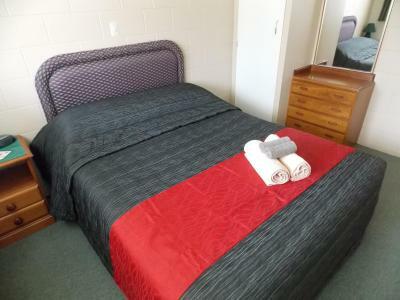 Just 100 metres from Picton Marina, Picton Accommodation Gateway Motel offers free WiFi. Some room types include parking. Each of the heated rooms offers a flat-screen TV with satellite channels, ironing facilities and an en suite bathroom. Featuring access to a swimming pool, a children’s playground and a barbecue area, Accommodation at Te Puna Motel and Holiday Park offers accommodation only 10 minutes’ drive from Tauranga city centre. 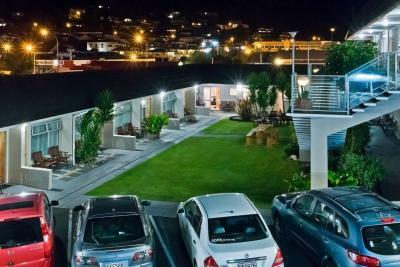 Beechwood Motel offers self-catering accommodation with free onsite parking, only 5 minutes’ drive from the centre of Dunedin. Each of the refurbished and tastefully decorated suites and studios includes satellite TV. Featuring free WiFi, Belvedere Accommodation offers accommodation in Motueka. Free private parking is available on site. A flat-screen TV is provided. Guests can enjoy various activities in the surroundings, including golfing and cycling. Boasting a restaurant, a bar and free Wi-Fi, The Clyde Accommodation is centrally located in the town centre. Guests can enjoy a game of billiards or darts in the games room. For those planning a trip to Mercury Bay, Turtlecove Accommodation offers affordable private and shared rooms. There is a communal kitchen with an oven, stove and microwaves. Guests enjoy 1-hour of free WiFi per day. Built in the early 1900s, this B&B offers free WiFi and a free shuttle bus transfer. It is 5 minutes’ drive from Hokitika Beach. 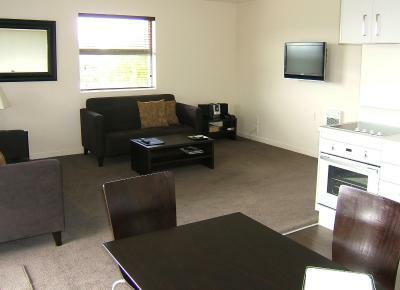 ACE Accommodation is 3 minutes’ drive from Hokitika's shops and restaurants.